If your only experience in studying the French language is through various online website tutorials or just by listening to non-native French speakers, you may be missing out on one of the most important aspects of the French language, which is pronunciation. Pronunciation is probably one of the most difficult parts of learning French, and will require practice, will and strong determination. It may be difficult, but it most certainly isn’t impossible to achieve a perfect French accent. First thing you need to do is prepare yourself to get rid of preconceived notions. 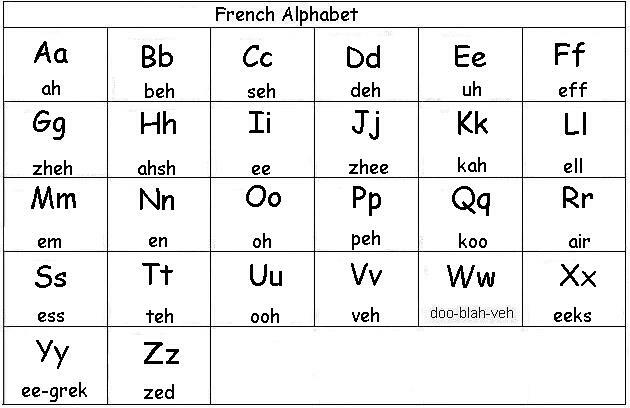 There are a lot of rules in the English language that will fall by the wayside even by the time you start to learn the French alphabet. For instance, the French uses the same set of alphabets as the standard English one, but the pronunciation will of course differ between the two languages. Additionally, the French has five different accents, with one intended for a consonant while the other four is designed for vowels. When it comes to pronouncing consonants in French, there are a few rules you need to keep in mind; You must keep the tongue tensed, to produce the necessary accent, and there should be no aspiration while pronouncing any of their consonants, and all but their “R” are verbosed further forward in the mouth than their English counterparts. Lastly, when speaking in French, you need to open your mouth to complete every word, which means you cannot swallow the last sound that you make. When it comes to French vowels, one of the primary rules for pronunciation is that you must not obstruct the sound with the lips, tongue, or throat. As a general rule of thumb, you need to remember that French vowels should be pronounced a little bit further forward in the mouth than the English vowels. Similar to French consonants, you need to keep your tongue tensed all throughout the pronunciation of the vowel. Finally, French vowels cannot diphthong. This makes them very different from the English vowels, which can be followed by a “y” sound in the case of a, e and i, or a “w” sound when dealing with o and ou. French vowels tend to remain more constant, which makes them sound more pure and pristine than the English vowel. At the end of the day, you should always remember that self-study could only get you so far when it comes to learning French. Sooner or later, you may find yourself in a desperate need to hire a personal tutor, or to enroll in a French class. Even computer programs that teach French will not be enough to teach you the advanced language skills needed. Even though these online tutorials and software may do a great job of helping you get started and practice what you already know, you still need extensive experience and interaction with native or fluent French speakers. Don’t miss out on this part, one of the best joys of the French language is to use it to meet new people and start new friendships.